If you’re in New York’s East Village neighbourhood, take a moment to study the lampposts. 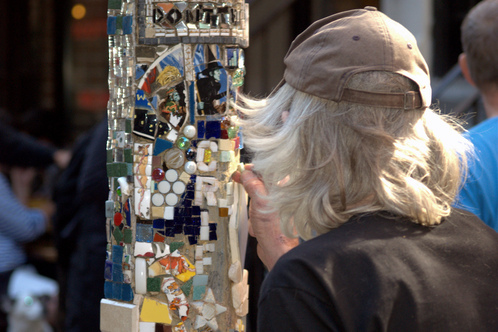 For 30 years, artist Jim Power a.k.a Mosaic Man Power has decorated neighbourhood lampposts with colourful mosaics. Etsy is paying tribute to the once-homeless artist in a short video that tells the story of Power's legendary Mosaic Trail, which is, according his website, one of the the largest and longest-lasting examples of public art. In the video below, Power is interviewed about his life and legacy.